“The lesson I learned is that any team can win against any team. Regardless of its ranking, if you don’t go with maximum concentration in a game you will lose,” said Venelin Kadankov in our interview. I am Venelin Kadankov, I was born on 31.08.1987 in Burgas of Bulgaria. I am married with one son. Currently, I’m studying Business administration in Burgas Free University. In Shahrdari Arak team I play with number 12. I play on the position of the opposite player. Tell us your story in starting volleyball? Such as most kids I wanted to play football but in Bulgaria, there were not good conditions to play it.As you may know, my country is a volleyball country, my coach of volleyball team have studied in the same class with my mother so it was the logical choice. The name of my first coach was Petar Gaydov. My family was the reason I started with him. It goes back to more than 15 years ago, and unfortunately, we are no longer keeping contact. 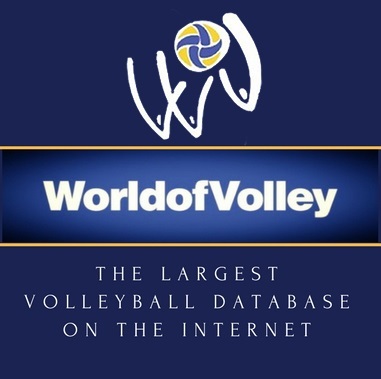 Who are your favorite player and team in volleyball? I don’t have a favorite player or a team. I can appreciate good players ‘good teams and good volleyball but I don’t have idols. What is your highest dream in your volleyball career? When I was a kid I wanted to play in Olympic Games but now my only dream is to be able to combine my family life and volleyball to each other because my family is suffering from the fact that I am out of home for long times. Why you came to Iran and how you choose this team? 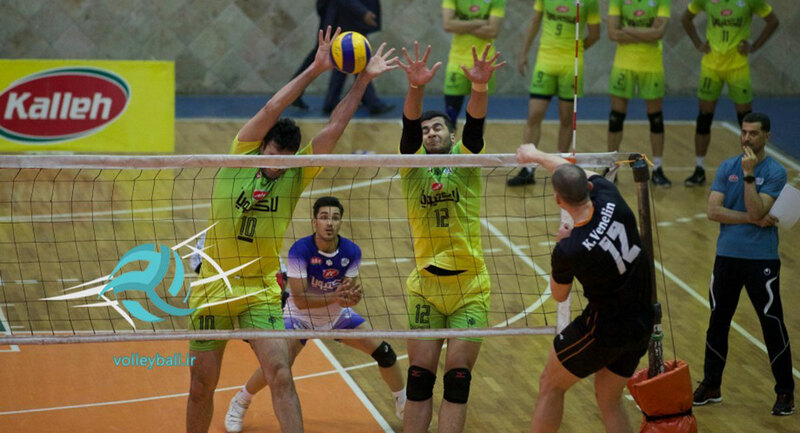 I have friends who played in Iran super league in previous seasons so they told me that the volleyball of Iran is good and my agent told me that this team is a good choice. How life is for you in Iran? Life is completely different from life in Bulgaria. There is not much to do but this is not such a big problem, after all, I did not come as a tourist. How is the volleyball of Iran? How you evaluate Iran super league with league of your country? Volleyball here is good. The best thing is that a team from the middle of the ranking table can beat a team from the top of the table at any moment so the games are interesting. It is definitely stronger than the league in Bulgaria. Is there any common similarity between Iran leagues with European leagues? There are, but also differences are more. And they are mainly connected with the fact that there are two games every week so the championship is much shorter than other championships. Are you satisfied with your own performance in your team in the league? I am partially satisfied. Altogether we played a couple of good games but we did not show our best in every game. Last season you were in a European team? How do you compare your current team with your previous team? Last season I played for Budvanska Rivijera in Montenegro. The two teams are close to each other in level of volleyball; just they compete in very different tournaments. How you communicate with your teammates and coaching staff of your team. Is there any language problem? We communicate in English. Whenever there are problems, the captain of the team Player Number 9, Alireza NADI does the act of translation; we are working in a normal way. What is your idea about Iranian food, which food is your favorite? The food is good but I have no favorite dish. Which city, which places attracted you, which city is best for living in Iran? Maybe Tehran, it is the biggest city with biggest opportunities, most places to go and things to do. Are you satisfied with your team achievements in the current season in Iran super league? I would say no. We were having some difficult moments and we lost a lot of games which did not allow us to fight for a place in the playoffs. Have you learned any valuable lesson from volleyball of Iran? The lesson I learned is that any team can win against any team. Regardless of its ranking, if you don’t go with maximum concentration in a game you will lose. Can you give some tips to those players who are playing in your post? I prefer not to do it. Everybody should be free and enjoy volleyball in the best way which he knows it. What does mean volleyball to you? Right now volleyball is a mix between hobby and job for me and I hope it would stay like that. I think from the moment that it becomes only a job I will lose the pleasure of doing it. Which were the happiest and the saddest moments for your in volleyball? Venelin Kadankov is an opposite player, he is from Bulgaria, his height is 205 c.m and his weight is 90 kilograms. This season he is playing for Shahrdari Arak team in the Super league of I. R. Iran. I have asked him to have an interview; he accepted it in a friendly way. Thanks, Venelin and good luck for you.